Hot on the heels of our new web interface, we're delighted to be able to provide you with access to see every request which passes through our proxies/load balancers to your applications. You can access this new features in the log browser under Proxy Logs. Just open up the Application menu and select Logs. As with all logs in Viaduct, this page will update live so there's no need to keep refreshing. Want some more? 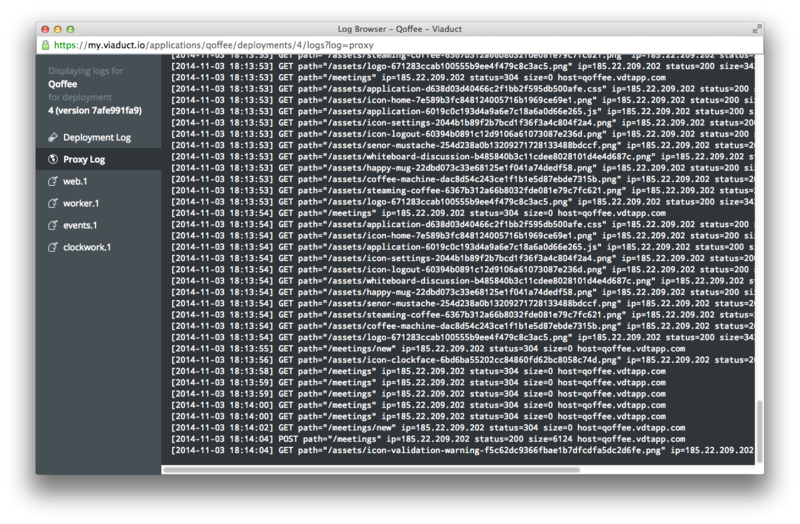 Go on then... you can also access proxy logs through our Push API.